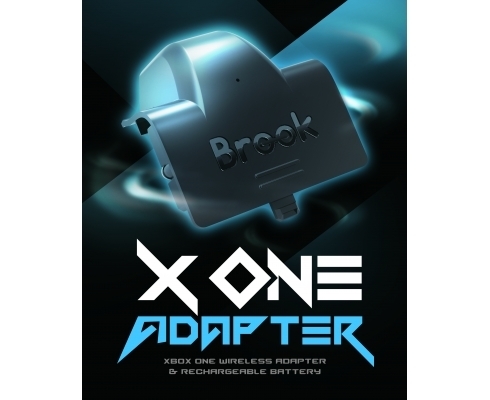 With the X One Adapter, your can use Xbox One controller to play favorite PS4, Switch, PC, Xbox One games wirelessly. 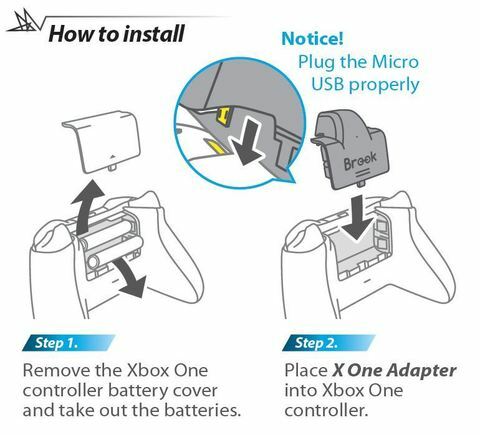 Xbox One Adapter will unlock the full potential of your Xbox One controller! 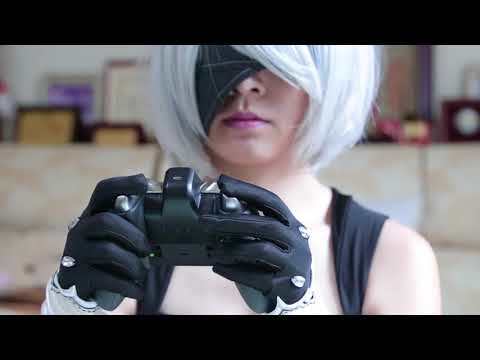 Improve your gaming experience! 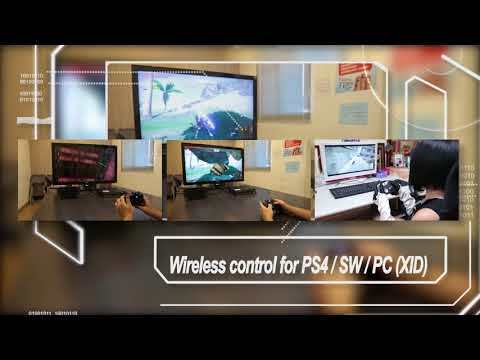 You can play PS4, Xbox one and Switch with Xbox one controller wirelessly. 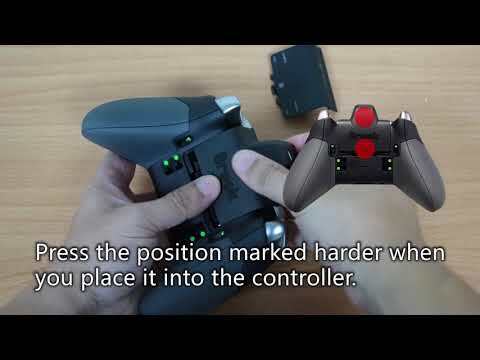 Setting the button configuration by yourself. 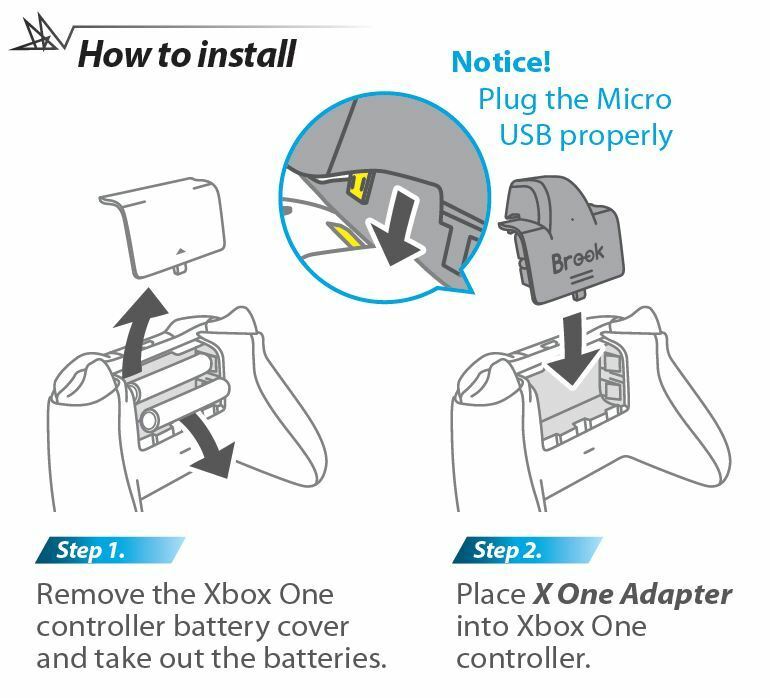 You can play Xbox One controller when you are charging the battery. 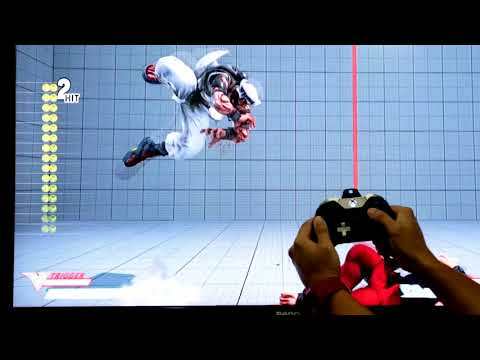 Turbo function availbale buttons : A?B?X?Y?LB?RB?LT?RT?LTSB?RTSB?Paddles(1?2?3?4), In tatal 14 buttons (refereed to as FK). 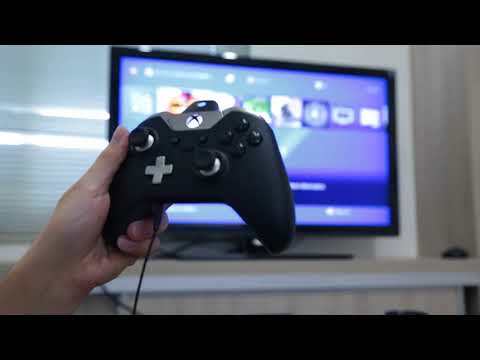 For setting paddles, you need to clear the original setting on Xbox One before setting turbo on them. 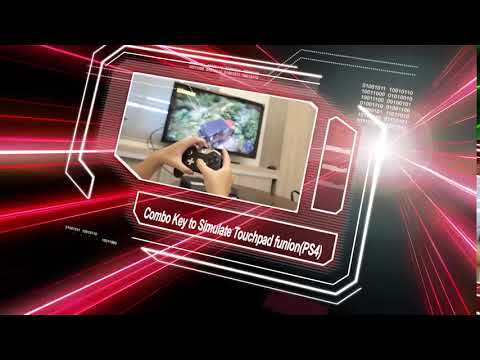 Remap function available buttons : ??????? ?A?B?X?Y?LB?RB?LT?RT?LTSB?RTSB, in total 14 buttons (referred to as FB). 1. Please keep away from electrical conductive objects. 2. Please do not disassemble the battery or place it in high temperature enviroment. 3. Please recycle the battery when you don’t use it. *Press Brook Key + Menu (LED display will go off) to save the Remap setting. If your X One Adapter have conntected Xbox One or Xbox One X, you need to Press the Brook Key to turn the power off, then Long Press the Brook Key. Please press the Switch button when Brook Key flashing LED light, When you press the switch button for more than 2 seconds, and the LED light stop flashing, it means mode switching is successful. 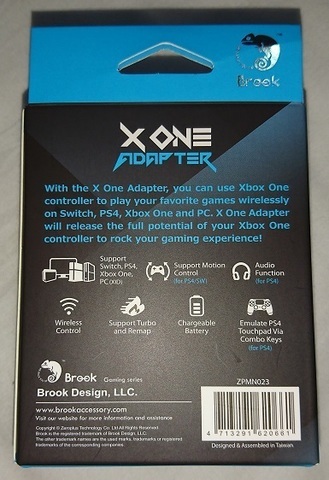 Please press the Brook key to wake the Xbox One controller. 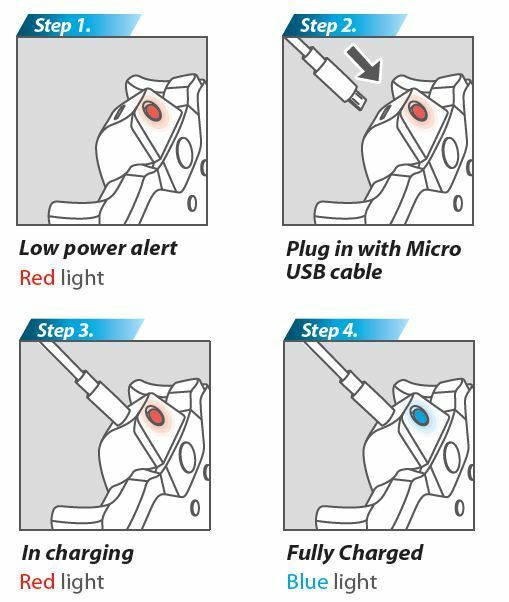 •When you press the switch button for more than 2 seconds, and the LED light stop flashing, it means mode switching is successful. 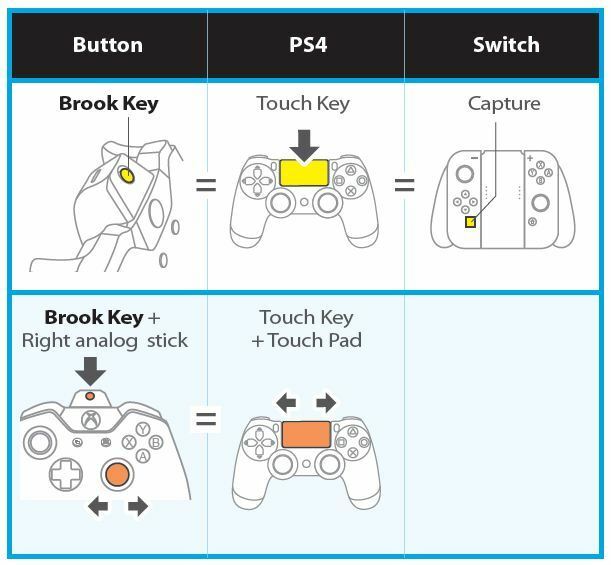 Please press the Brook key to wake the Xbox One controller. 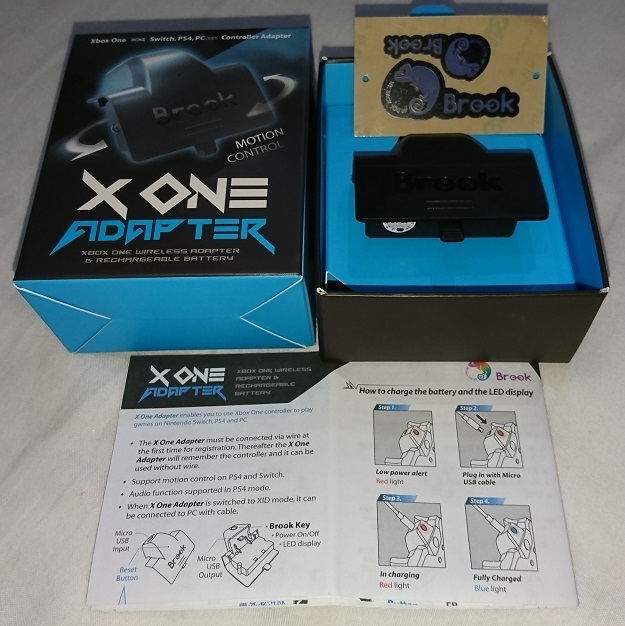 •Headset supported when X one Adapter is in PS4 mode and used on PS4. 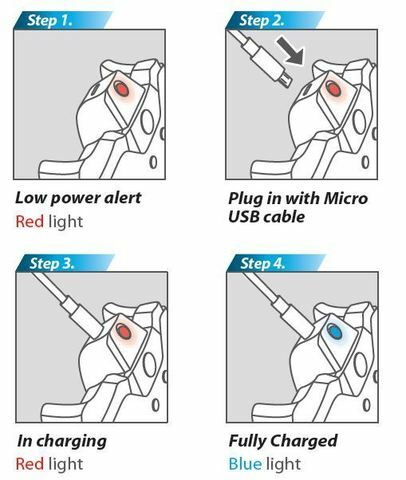 •Whenever it sleep/wake up, it will remember the last switch mode setting. Copyright © 2019 Dericam Singapore AP.